DAVID F. DEROSA is President of DeRosa Research and Trading, Inc. and Adjunct Professor of Finance at the Yale School of Management. He has worked at a number of Wall Street asset management firms and has traded foreign exchange for Swiss Bank Corporation, New York. DeRosa received his PhD in finance and economics from the Graduate School of Business of the University of Chicago. 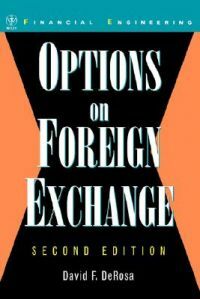 He is the editor of Currency Derivatives (Wiley), and the author of Managing Foreign Exchange Risk. DeRosa also contributes columns on international finance to Bloomberg News.